What musical instrument should your child learn to play? Good question! Helping your child choose an instrument when they have no idea what a clarinet or an oboe is can be tough. And what if they start an instrument but then they don’t like it? Or how do they make the right choice between two instruments if they’ve never played either (and neither have you)? To help answer this question, I’m doing a series of blog posts. Part 1 is for everyone but especially for adults or teens trying to choose their own instrument. This post, Part 2, is primarily for parents trying to help their child choose an instrument. Part 3 will be for all audiences, and it will be my opinions on the experience of learning various specific instruments. Before I say anything else, I strongly recommend learning to play piano. SO many people have come up to me over the years, saying, “I wish I’d learned to play the piano!” or, “I wish I hadn’t quit taking piano lessons when I was a kid!” This by far the most common instrument to learn and in my opinion, it’s the most versatile. You can play music of any style on the piano and have a great time doing it! On piano your child can learn to play melody, harmony, and accompaniment all at the same time, which teaches them a great understanding of music as a whole. 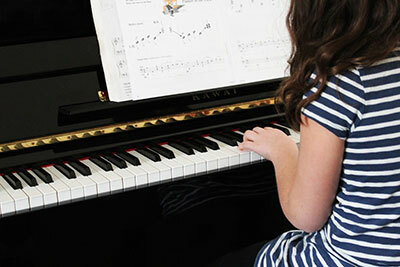 Learning piano also has all kinds of other benefits, and since it teaches you to read music for high notes AND low notes, it’s easier to go from learning piano to another instrument later. Piano has the greatest potential of any instrument to lead you in any musical direction you want to go. Schedule piano lessons with me here. One of the best ways to help a child choose which instrument to learn is by taking him to a school or a music store where each instrument can be demonstrated to him. Schedule a time with a music tutor or tutors to demonstrate what it is like to play the flute, the oboe, the clarinet, the trumpet, and so on. More than likely, your child will find a few favorites just by hearing them all played. Then, work it out so that your child can actually feel what it is like to hold each instrument. There will definitely be some awkwardness due to inexperience, but you and your child will both get an idea for what feels more natural for him. Also ask an instructor to tell your child the basics on how the instrument is operated – how is a sound made? Is it by blowing into something, by using a bow, by striking a key or by plucking a string? Different children will relate better to different instruments, and this is a great way to test that out initially before purchasing and pursuing their music education. What musical instrument should you learn to play? Good question! Whether you’ve been wishing for years that you could learn to play piano (you can!) or you’re trying to help your child choose and they have no idea what a clarinet is, it can be a tough decision. And what if you start an instrument but then you don’t like it? Or how do you make the right choice between two instruments if you’ve never played either? To help you answer this question, I’m doing a series of blogposts. This post, Part 1, is for everyone but especially for adults or teens trying to choose their own instrument. Part 2 will be primarily for parents trying to help their child choose an instrument. Part 3 will be my opinions on the experience of learning various specific instruments. Before I say anything else, I strongly recommend learning to play piano. 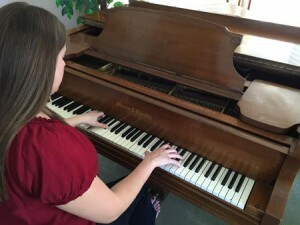 SO many people have come up to me over the years, saying, “I wish I’d learned to play the piano!” or, “I wish I hadn’t quit taking piano lessons when I was a kid!” This by far the most common instrument to learn and in my opinion, it’s the most versatile. You can play music of any style on the piano and have a great time doing it! On piano you learn to play melody, harmony, and accompaniment all at the same time, which teaches you a great understanding of music as a whole. Learning piano also has all kinds of other benefits, and since it teaches you to read music for high notes AND low notes, it’s easier to go from learning piano to another instrument later. Piano has the greatest potential of any instrument to lead you in any musical direction you want to go. Are you a country girl, a rock lover, or a pop fan? Or are you more the type to listen to classical music and go to orchestra concerts? Do you prefer jazz like Miles Davis and Louis Armstrong? What do you like to listen to? This could help you figure out what you would like to play. For example, jazz lovers may favor trumpet, alto saxophone, piano, or trombone. Rock lovers may favor guitar or drums. And classical lovers may want to go for a stringed instrument like violin or cello, or french horn, or even oboe or bassoon. If you like all music, any band instrument could suit you, from flute or clarinet to saxophone, trumpet, trombone, or tuba. If you prefer choral music or musicals, maybe you should learn to sing instead of play an instrument. Because there are SO MANY instrument choices, pick one that will help you learn to play (or sing) the kind of music you like best. * That said, recognize that many instruments cross genres. While violin mostly plays classical/orchestral, it’s also used in Celtic music, rock, jazz, and all other genres. Similarly, flute is often forgotten as a frequent jazz instrument, guitar can be rock or folk, and the piano is used for all genres. Why do I want to learn an instrument?